For ease of design we actually work to the ratio of 2mm to 1 Foot which is 1:152. This is a scale that is becoming more popular every year and is also generally considered compatible with the 1:144 scale for miniature wargaming (12mm height of a person). For ease of design we actually work to the ratio of 4mm to 1 Foot which is 1:76. We design our models with the different OO track styles in mind, and our railway buildings are designed to accommodate the variants. 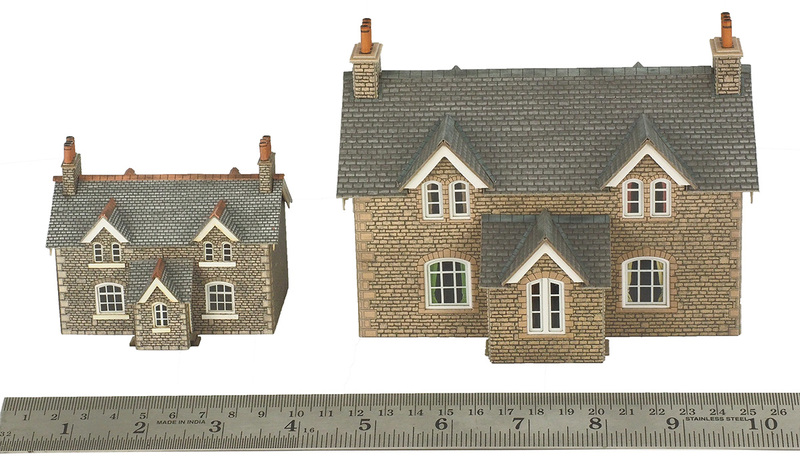 The scenery buildings are designed to look right on a layout and while close to OO scale they may vary slightly. For example if we designed a church or a mill true to scale it would look huge on a layout and would take up far too much space.